When excess moisture or water has an opening to invade your Bakersfield home, the result may be mold growth. Mold has the ability to thrive and continue to grow, especially in those hidden cracks and crevices in our homes that attract moisture. It’s the four letter word no homeowner wants to hear, and the three words, “you have mold” is downright terrifying. Over the years mold has received a bad reputation, but did you know that mold is all around us. Not all mold is bad, some molds are needed to help us fight illnesses. We use certain types of mold for medications, and even some of the foods we love to eat contain mold. 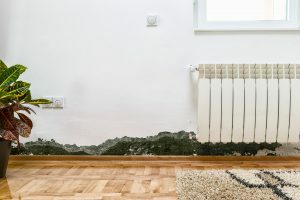 Mold comes in every shape and color you can imagine…however, it mold takes hold of your Bakersfield home and starts deteriorating your walls, floors, and ceilings you need to contact a professional mold removal company as soon as possible (Did you know that Alert offers mold removal services?). Mold can start to grow in 24 hours and may cause large amounts of damage to your home in a very short period of time. Why Do I Need To Call Professionals? Mold has been associated with increased health risks for the young and old, or people with a weakened immune system. Calling in a team of professionals such as Alert Cleaning and Restoration ensures that the mold will be removed quickly and efficiently allowing you to rest easier knowing that you have the very best team working for you and your family. When removing mold the team doing so must have the proper equipment and the training to do so, ensuring that further mold growth will be stopped. Trained professionals have the knowledge and the equipment for completing the job safely. Technicians working in the contaminated areas must follow steps to protect themselves, your family and the unaffected areas of your home from the mold spores during the removal process. Mold can be a threat to the health of anyone who comes in contact with it. Mold affects each individual in a different way depending on the type of mold and the health of an individual’s immune system. Mold spores irritate the respiratory system and may cause symptoms that include but are not limited to, sneezing, runny nose, itchy or watery eyes, allergy like symptoms and aggravation of asthma. When you try to clean mold by yourself, you risk not only your health but also that of your loved ones. Mold spores may easily become airborne without the right cleaning techniques and tools. With so many severe health threats in play, it is always best to call in a professional mold removal/remediation team to remove any mold you find in your home. Mold spores can grow very quickly in small crevices, under the flooring and behind walls. Because mold spores are so small, they can be very hard to locate. When mold finds its way into the structure of your home it will quickly start multiplying spreading quickly. Follow your nose, mold has a harsh odor to it, just because you do not see it does not mean it is not there. Mold will feed on any moisture in the structure of your home causing severe damage to your home if not removed immediately upon being found. Mold is very deceptive, if there is mold on the surface it is a good bet that it has already made its way beneath or behind the surface of your walls and flooring as well. Even if you effectively remove all of the visible spots, there is most likely more mold spores beneath the surface that will multiply and spread, returning with a vengeance. Trained mold removal/remediation specialist, such as Alert Restoration, have the proper tools and equipment to completely remove mold the first time without the risk of the mold returning. In Bakersfield and surrounding areas it is good to know that the professional mold removal/remediation teams are there to help you when you need them the most. With trained specialist we will respond quickly to your call, restoring your piece of mind and saving you precious time and money.